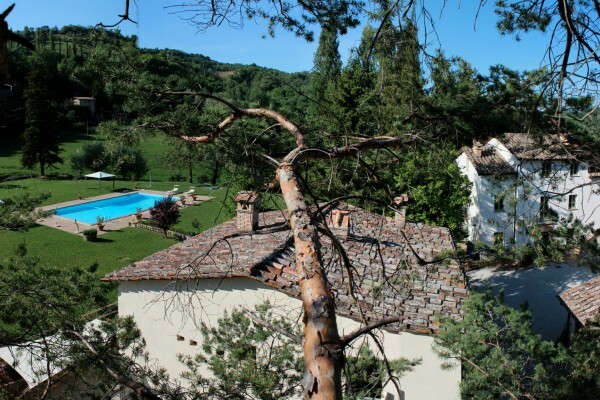 The large property in the heart of Renaissance Italy is set amidst the Umbrian hills, in between the picturesque medieval town of Montone and the vibrant Umbrian capital Perugia, just across the border to Tuscany and the Marche. Six suites for 2-4 persons or the whole house for groups of up to 18 people are available. Suites feature fully equipped kitchens, en suite bathrooms and elegant rooms with fireplaces. Enjoy a refreshing swim in the 100m2 pool, or just find yourself a quiet place among the trees and have a nap in one of the hammocks or deck chairs. Day excursions will get you to most of Central Italy´s famous places: Assisi, Florence, Todi, Siena, Orvieto, Arezzo. In the evening the restaurant is exclusively open to our guests for a typical Umbrian dinner. Belle vacanze!! Suites are all elegantly furnished, with fully equipped kitchen. The charming character of an Umbrian farmhouse has been well preserved. You will find all the traditional features such as stone archways, oak beams, open fireplaces, beautiful handmade terracotta floors, and original stone walls which guarantee cool, pleasant temperatures even at the peak of summer heat. At the same time the property offers all the amenities of modern times such as central heating or wireless internet on the whole property. 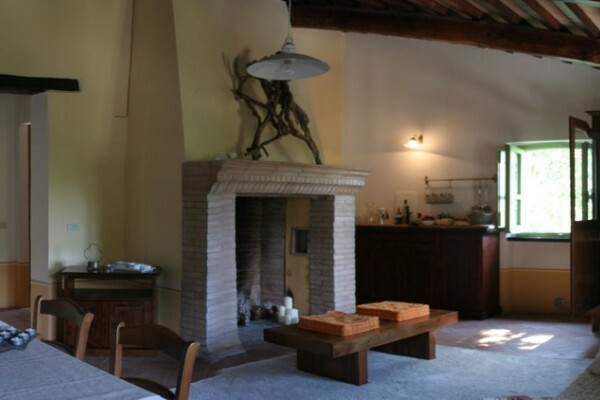 The old stable has been converted into a ristorante, La Locanda, exclusively for our guests. No hurry, no kitchen noises, no Menu turistico - this is a small heaven of savour and quality. Arrividerci Pizza con Wurstel! We believe in the ideas of the Slow Food Movement and focus on locally and biologically produced products (Italians promote it also as the 0 km concept). Food comes either from our fields or from neighbouring farmers. Ethical consumption is important - but quality is as well! We make sure that the products we serve and sell in our grocery shop fulfill both requirements. Our aim is to offer an authentic cuisine, based on what´s available in Umbria and Italy (which is a lot anyway!). No experiences yet with Agriturismo L'Ariete. Be the first! 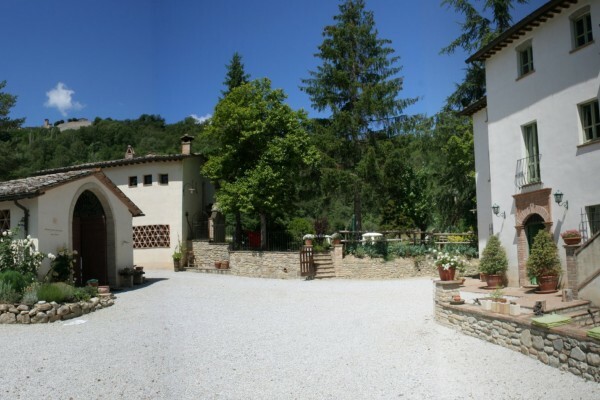 Did you stay in Agriturismo L'Ariete? Let us know what you thought about it and help others to make the right choice! * I confirm having stayed in Agriturismo L'Ariete. 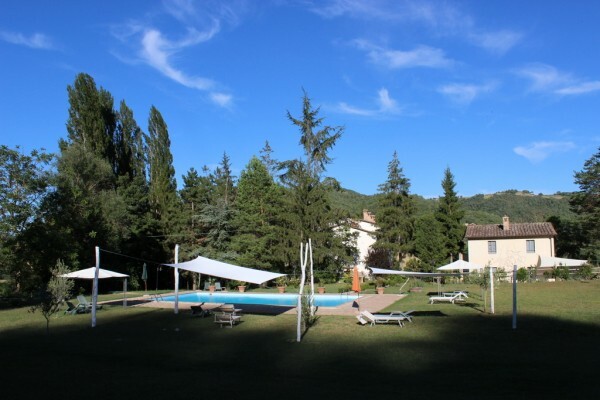 Find other charming hotels in Montone or all charming hotels in Umbria.